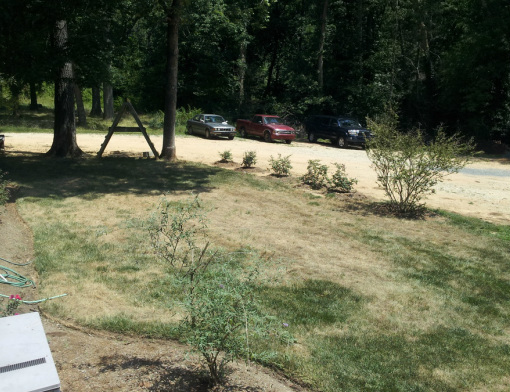 To the untrained eye, these brown patches represent what many people think of as heat related discoloration or lack of water. 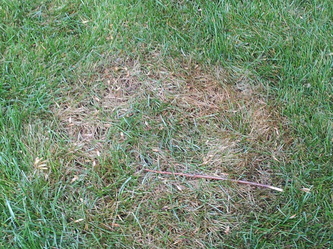 Brown patch is at first identifiable by what is known as a smoke ring. The picture on the right shows this ring. 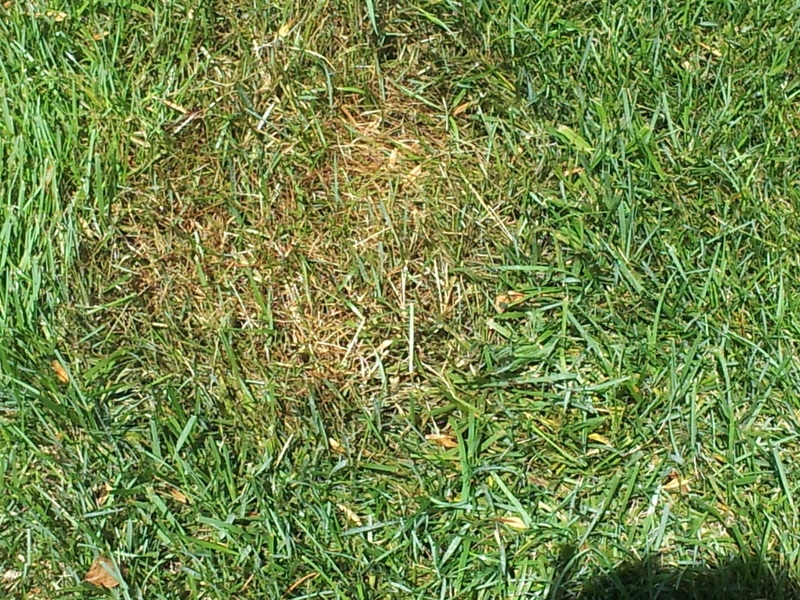 This is preventable by applying fungicides at properly timed intervals. 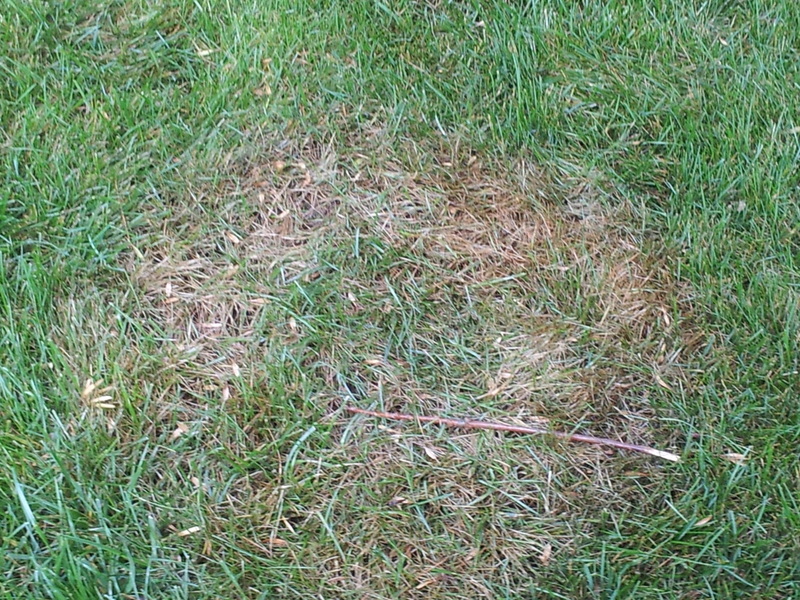 This is an example of untreated brown patch during the summer months. 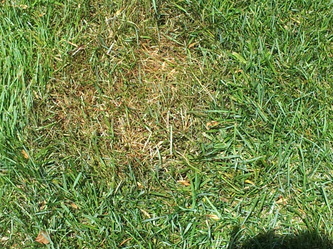 This can be prevented by applying fungicide sprays. Preserving your aesthetic and financial investment can only be accomplished through an aggressive and punctual after care program.